In 2012, Mrs. Sunita Chaudhary joined the Chetana mothers Group Ghoraha. Before she got married, her family was bonded in the owner’s home for long time due to lacking of their own home and land. Luckily one NGO supported her studies. She felt in love and got married after passing grade 10. Now, she has been very active and can deliver good speech in from of huge crowd. She also does vegetable farming. Last year, she had the opportunity to participate in mentorship training which improved her speech level and leadership. This year at Maghi event, she won 1st position in the speech contest. One interesting thing is, she never participated in such a program before, so she is very proud of herself. Nitu’s parents were both bonded laborers. For 7 years they were in the owners house because they were extremely poor – they had no land to grow food and just the small mud house. After, they both did labour work to make money. Nitu’s father was injured when he was shocked by electricity and they could not afford the treatment. He died by suicide. Nitu’s mother then had all the responsibility of the family. Nitu received a scholarship from Her International to attend school. She is 12 years old and in grade 4. She explains that if not for her scholarship she would have dropped out of school and become a servant for another family. The Hero Girls personal development, entrepreneurship, and leadership course launched its pilot session in January 2019! The course starts each session with each girl taking a moment to pause, reflect, and connect with themselves and their peers through a mindfulness moment and group activity. The participants then learn a social emotional skill and a business skill each time that they will put into practice as they start their own “Innovation Projects” - small income generating enterprises. We are so excited about this program and the opportunties to share this course with other communities in the future. We thank SureCall Contact Centers for funding this program! On March 8th, 2019, H.O.P.E Outreach and Her International teamed up once again to raise vital funds and awareness for women and girls that are struggling not only in our city but overseas. We successfully raised over $24,000 to benefit local and global women and couldn’t have done this without all of you! Thank you to our volunteers, sponsors and donors who attended the event or helped to make this happen. A special nod to the women in Nepal, who fundraised $125 CDN to donate to women in Kelowna who need it!! (Interested in how that happened? Watch that video here). 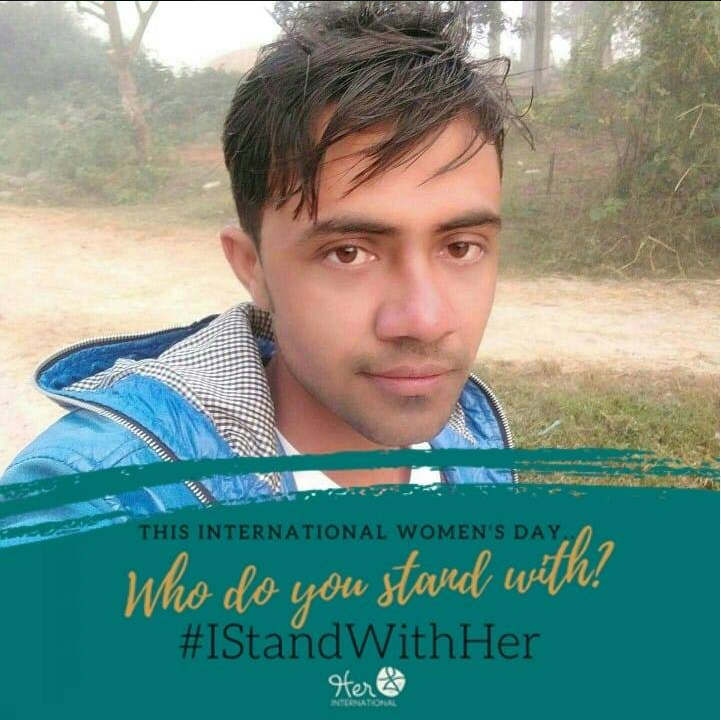 Also to correspond with International Women’s Day, from March 1st to March 16th we ran a digital campaign to spread awareness of and raise money for our work to stand in solidarity with marginalized women. THANK YOU! We see you and stand alongside you. Tamara McLellan, Co-Executive Director of Her International, recently gave a TEDx talk at TEDx Kelowna Women called “Feel your way to freedom.” Tamara discusses two kinds of liberty, positive + negative, and five ways to feel your way to freedom today, despite external circumstances. She suggests the idea that our collective freedom is linked and only can be made possible when we are all free. Don’t miss Sarita and Deepa’s video at the end! “Her Ambassadors” are a group of passionate people who have committed to be ADVOCATES and ACTIVATORS for our organization. They work closely with our organization to develop their own fundraising initiatives, to sell Unako products, or to raise awareness for our cause. Ambassadors are featured on our website and awarded Her Ambassador badges (see right) for their websites and business cards. SAVE THE DATE for a fun night at the East Kelowna Hall raising funds for Her International called “Love is still the answer”. We are blowing out all of our old inventory this May with a pop-up sale on May 11th at the Kelowna Capri Mall. We will be outside near the Garden Centre and all scarves will be $5. Come and snap yours up for mom and grandma and auntie and …..! Purchase our scarves and jewellery at the number one fair trade shop in the Okanagan. You can find all of your grocery needs, along with a lot of local options, at Independent Grocer in the Capri Shopping Mall. And soon you will be able to shop for a cause with our scarves in front of the Customer Service Desk and our jewellery on checkout at Aisle 1+2. Excited by all that you see happening and want to have a say? Become a member today for only $35 (tax deductible). Your $35 annual contribution not only funds Her programs but also makes you a voting member of our registered charity. Members direct the future of Her International by voting on overarching organizational changes and the board of directors.You receive the Annual Report and are formally invited to our AGM in October. You also enjoy 20% off scarves and bags on our Social Enterprise website: Unako.ca! Thank you for being a part of this journey in supporting and empowering girls & women around the world. Your email was subscribed to this list when you signed up online or donated to Her programs. Please add news@HerInternational.org to your contacts to ensure the newsletters land in your inbox.